Retail advertising – it’s probably not what you think! Many “creative” people shun the thought of retail advertising as aggressive, over-the-top or just annoying. Well . . . some of that is true, retail advertising can be all of those things . . . If it is not done correctly. Well-crafted retail advertising creates excitement about a product or event, in a way that effectively causes desire for the product/event and the outlets. Sometimes those with little experience, will simply go for the gratuitously loud or the inanely crass button to make a point. Everybody has seen these ads and these are the negative impressions that stay in the minds of consumers. If you want a strong retail advertising campaign, it’s not a simple case of selling while yelling. Red Lid draws on thirty years of experience in retail advertising to create powerful and successful retail advertising for press, television and radio. This experience gives us an insight as to the types of offers, store merchandising concepts and rhythm, speed and content of advertising media, which work best. 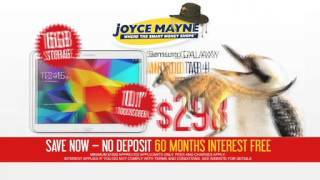 For almost a decade we have created the radio and television material for national advertiser Joyce Mayne. In this world of blood n’ guts promotion, we have carved a reputation for results. The fact many of our concepts are copied by other retailers here and abroad, is testament to our skills. Our production department is skilled, fast and consistently delivers high quality advertising, to meet the crazy deadlines of the retail environment. If you are in a retail and want to see a change in your advertising campaigns for a better bottom line, give Red Lid a call for a free consultation. Deals so good, they're untouchable by the competition. A throwback to superhero and gangster comics, created an eye-catching retail ad with punch. Deals so big they make Uluru look small. Playing on 'Boomers' fairy story memories, we created a new style visual for an old concept. Fun and frivolity mixed with a powerful save story, sold a lot of fridges off this! A clean corporate look for a generic sale message, to show this hard-sell retailer carries the top brands. An excited read, a powerful animation . 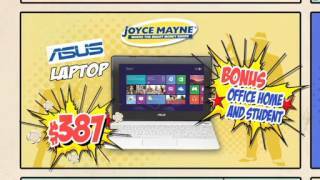 . . this is a TVC that will change the colour of a loungeroom and the buying patterns of a market. If you care enough to go to a specialist store for F&V. You will prefer to buy from a fussy fruit picker. 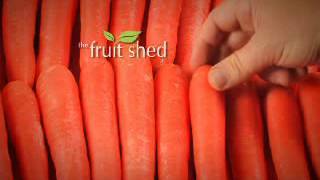 The Fruit Shed stand by this claim and this TVC had a big positive impact on sales. Quick! It is on tonight . . . don't you miss out. Got a big sales event? Trust Red Lid to create a powerful sales theme around it to be remembered and most importantly, acted on! This ad makes use of classic Aussie phrases and icons like the FJ ute, Kookaburras, Kangaroos and Galahs, to portray Australia while keeping a clean, corporate look. This advertisement ran during the rainy season in North QLD, giving viewers a solution to a common laundry problem during this time, while pushing the high quality range of Dryer brands at low prices. Need retail advertising that gets results? Get in touch with Red Lid Creative today!